There are no proven ways to reverse the clock, but there is one known way to look older than your years: start smoking. Smoking can change your appearance by altering your teeth, hair, and skin. Aside from your appearance, smoking weakens your heart, lungs, and bones; and reduces fertility. Look at these two photos. One of these identical twins is a smoker; the other is not. Can you spot the difference? 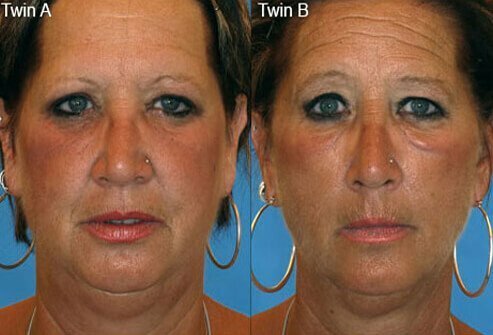 The twin on the right smoked for 14 years (a half-pack a day); her counterpart on the left is a nonsmoker. 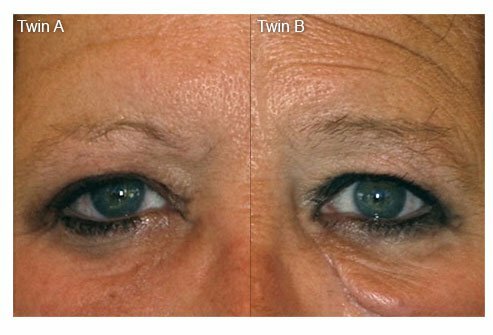 One of the characteristic signs is the looseness of the undereye skin, making her appear years older than her twin sister. This is one sign of skin damaged by smoking. 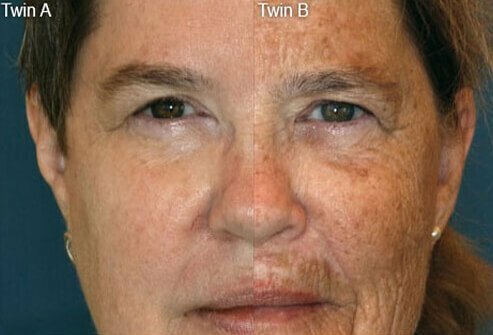 The twin on the right further damaged her skin over time by repeated sun exposure. Smoking affects the blood vessels, which deliver oxygen and nutrients to the entire body. When the skin is deprived of these essential nutrients, changes begin to develop, even at an early age. Smokers can appear pale or have uneven skin tone as a result of their nicotine habit. Tobacco smoke contains over 4,000 chemicals, many of which are carcinogenic (known to cause cancer). Others are known to damage collagen and elastin, two components of the skin. 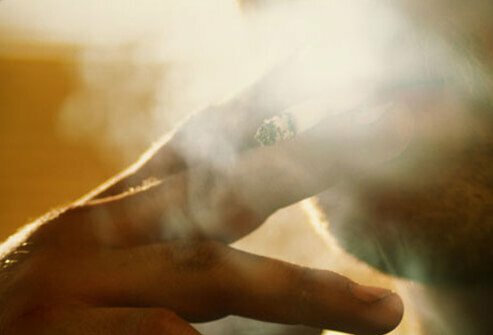 Even exposure to secondhand smoke can result in skin damage. Sagging of the skin and deeper wrinkles are two consequences. Smoking can affect the skin elsewhere on the body as well. Damage to elastin fibers can cause sagging and drooping. Vulnerable areas include the breasts and upper arms. The damage to elastin in the skin is just one way that cigarette smoke affects the skin around the mouth. 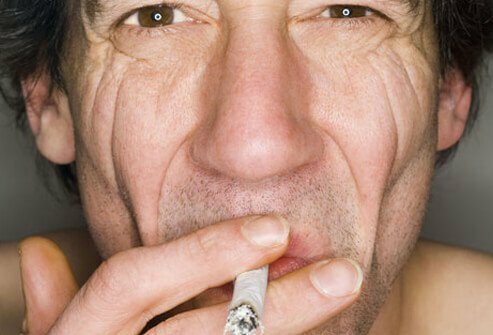 Another way is the development of wrinkles around the mouth from the act of smoking. These two factors together lead to early aging signs around the mouth. This picture again shows identical twins, with half of the photo coming from each individual. The twin on the right had a long history of both smoking and sunbathing, in contrast to her sister. The difference is obvious. 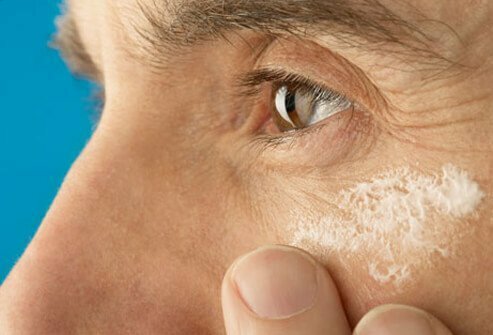 Age spots can develop in anyone after prolonged and repeated sun exposure, but studies suggest that smokers are more susceptible to the development of age spots. Yellow teeth are an obvious sign of smoking. But smokers experience other oral and dentals problems as well. Gum disease, bad breath, and tooth loss are all more common in people who smoke. Tobacco stains the skin of the nails and hands. This can be a telltale sign of a chronic smoker. Fortunately, this discoloration usually fades after you have stopped smoking. Smoking can worsen the natural process of hair thinning that occurs as we age. 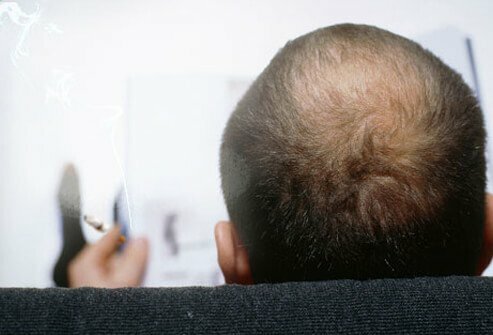 Some research shows that baldness is more common in men who smoke; studies from Taiwan show that male-pattern baldness risk increases in Asian men who smoke. 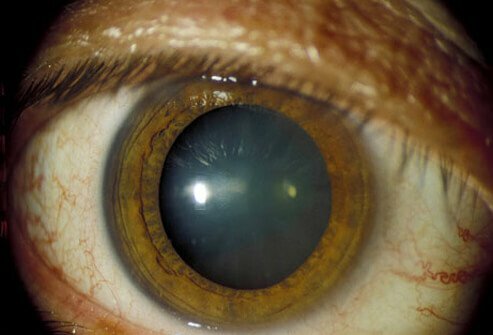 Cataracts are opaque areas on the lens of the eye that interfere with vision. Effective treatment can mean that surgery is required. Smoking increases the likelihood that you will develop cataracts. Smokers also have an increased risk of getting psoriasis, an unsightly and often uncomfortable skin condition. 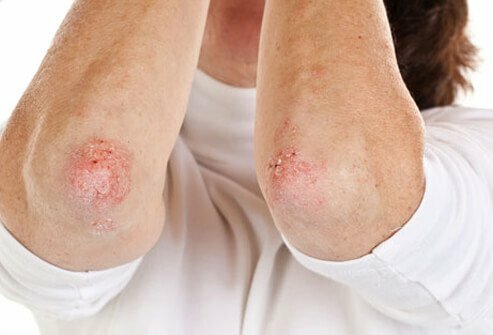 Psoriasis is characterized by thick, scaly skin patches that are most commonly seen on the elbows, scalp, hands, back, or feet. The outside eye wrinkles affectionately termed "crow's feet" develop earlier in smokers than in nonsmokers. These wrinkles also tend to be deeper in those who smoke. Squinting to keep smoke out of your eyes only worsens the tendency to develop wrinkles around the eyes. On top of all this, there is damage to the internal skin components because of the lack of nutrient and oxygen delivery to the skin. After you quit smoking, blood flow improves. Consequently, your skin starts to receive more oxygen and begins to look healthier than before. 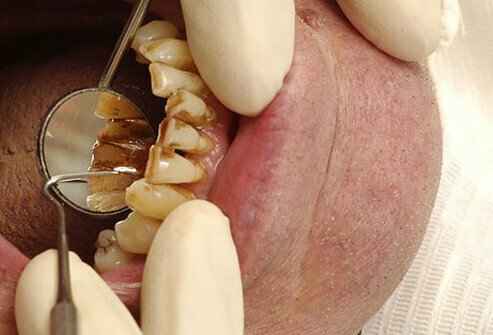 Your teeth may get whiter and tobacco stains should disappear from your fingers and nails. 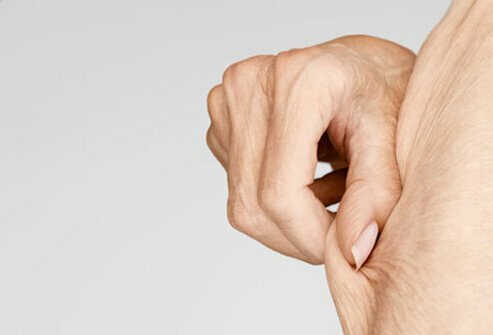 Any time you quit smoking, you've taken a healthy step toward resisting the signs of skin aging. Topical retinoids and antioxidants are among the products you can use to improve the appearance of your skin. Wearing sunscreen every time you are outdoors also helps prevent further damage. Some ex-smokers opt for cosmetic procedures to improve their damaged skin. 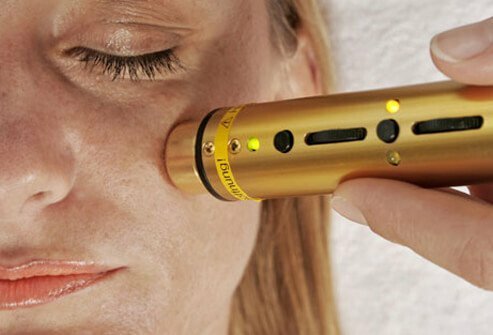 Laser skin resurfacing and chemical peels can remove outer skin layers where damage is most obvious. 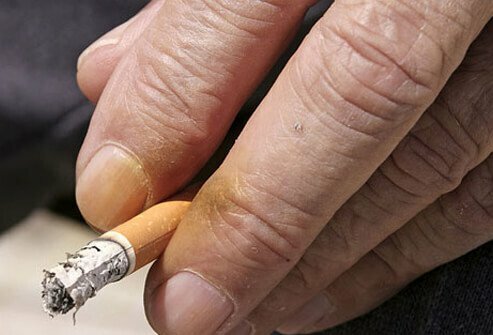 Some doctors recommend that patients treat themselves to this type of procedure after quitting, suggesting that it provides strong motivation to stay tobacco-free. 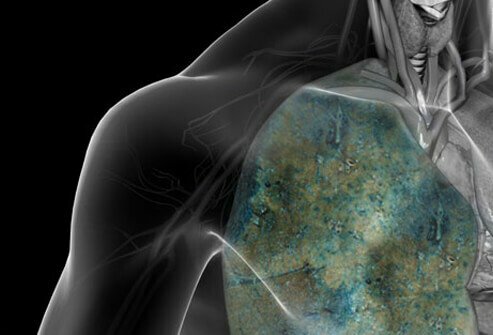 While the effects of smoking on the lungs are widely understood, it might surprise some smokers to know that they are also damaging their bones. 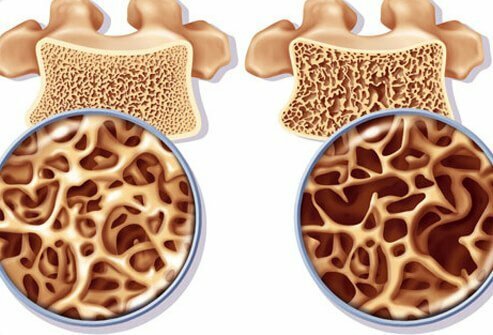 Smoking raises the risk of osteoporosis and fractures. Fractures of the spine can cause an abnormal curvature and "hunchback" appearance. 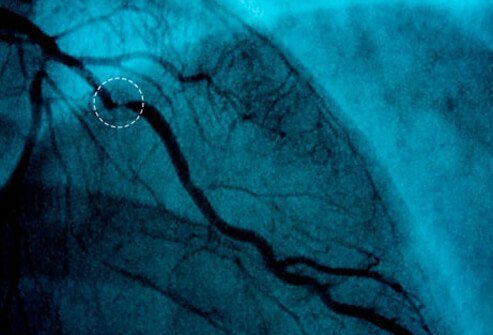 Narrowing of the coronary arteries of the heart is one of the most dangerous consequences of smoking. Since smoking also raises blood pressure and makes blood more likely to clot, the risk of a heart attack is dramatically increased. Smoking can also affect blood flow in other ways. Erectile dysfunction is one consequence of altered blood flow in men who smoke. With all its effects on the heart and circulation, it's obvious that smoking and athletics don't mix. Increased shortness of breath and poor circulation aren't going to boost athletic performance. 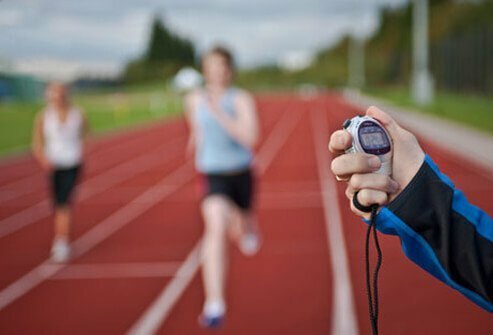 Quitting smoking is one way to ensure performance improvement in any sport. Not only do female smokers have a harder time conceiving, but their risk of problems in pregnancy also increases. 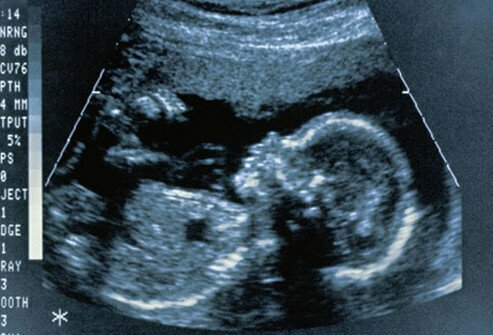 Women who smoke have a greater than normal chance of miscarriage, premature birth, or having a baby with low birth weight. Women who smoke also reach menopause earlier than women who don't, according to researchers. 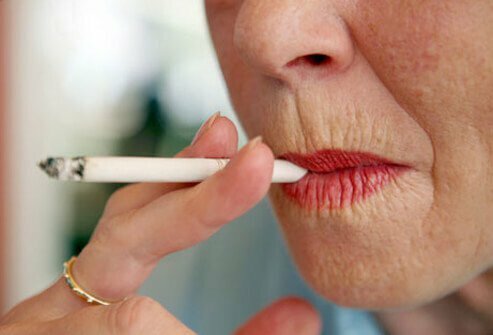 Studies show that smokers reach menopause about 1 1/2 years earlier, on average, than nonsmokers. This is particularly true of women who smoked heavily for a long time. Oral cancer risk is also elevated in people who smoke or use smokeless tobacco. Adding alcohol to the mix intensifies this risk; those who smoke and are heavy drinkers have a 15-fold increased risk of oral cancer. 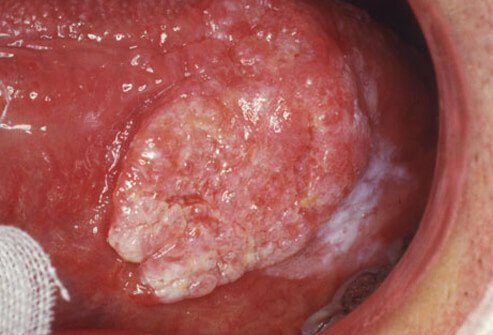 Oral cancer usually starts as a sore inside the mouth that won't go away. Quitting smoking lowers the risk of oral cancer. Nine out of every 10 deaths from lung cancer are due to smoking, meaning that 90% of lung cancer deaths could be prevented. Smoking causes other lung problems, like emphysema, and increases the risk of contracting pneumonia. Blood pressure and heart rate reduce to normal levels within 20 minutes of stopping smoking! Heart attack risk begins to lower after the first 24 hours. 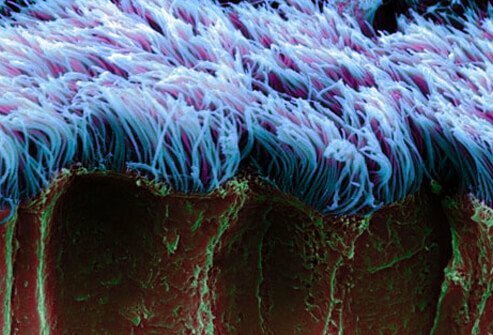 Within the first weeks, the lungs begin to heal, and the tiny cilia (seen in this enlarged photo) start to rid the lungs of pollutants. Your risk of developing heart disease drops to half that of current smokers after just one year of quitting. After ten years, your risk of dying from lung cancer is the same as that of a nonsmoker. Quitting smoking has cosmetic effects, too. The smell of cigarettes is removed from your hair and clothes. Just the smell attached to a smoker can be harmful to others. Others can be exposed to the toxins that cause your hair and clothes to smell. This has been termed "third-hand smoke" and is believed to be particularly harmful to children. 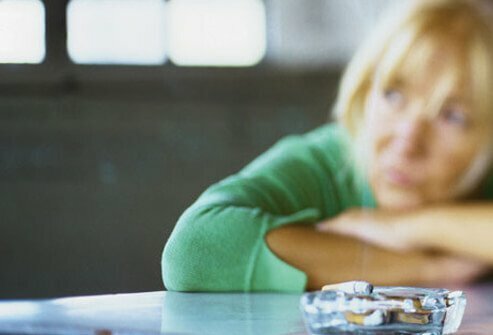 Of course, giving up any addiction is difficult, but quitting smoking is possible. There are more former smokers (48 million) than current smokers (45 million) in the US. This means that quitting has worked for 48 million people! Your doctor can help recommend medications and other quitting strategies to help you succeed. 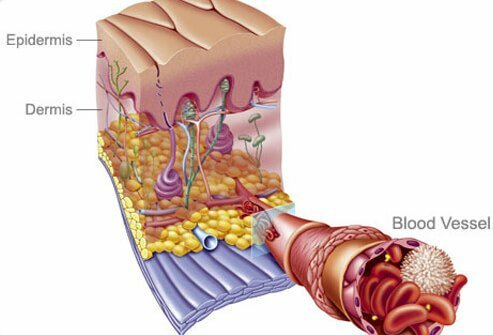 Medscape: "Tobacco and Skin Disease"